If you're not using energetic skincare products, you're not getting the other half of what your body and skin require: high frequencies through what we call energetic ingredients. You may be using products with some sort of lower frequency, but not the high life- and youth-promoting frequencies as found in energetic skincare using high grade plant-based, natural essential oils. Scour the internet and you'll be hard pressed to find skincare manufacturers who create what's known as 'energetic skincare.' PHYTO5® is a very rare manufacturer of truly holistic energetic skincare. Energetic skincare is based on the principles of energy medicine. Energetic skincare raises the science to a level beyond ordinary conventional skincare utilizing vibrational ingredients and taking cycles of nature into account. All energy medicines have a common basis: The body is not simply matter, but vital energy as well. An electro-energetic envelope known as the aura envelopes your body. The energy and vibratory rate of every organ, bone, gland, organ, blood vessel, and fluid of your body can actually be measured with a variety of highly advanced bio-resonance machines available today. Swedish radiologist Bjorn Nordenstrom discovered in the early 80s that the human body had electropositive and electronegative energy fields. We develop a cold or flu when our body’s frequency is at 58 MHz. We are much more than what we see on the surface, so we should care for our bodies, including our skin, more profoundly with energetic/vibrational therapies and products. In fact, a fundamental principle is that it is vital energy that causes matter to become vital matter. It not only gives vitality to matter but information as well. Vital energy provides the blueprint of cell development in the embryo as cells become tissues; and tissues become specialized organs, glands, nerves, bones, etc. The role of vital energy continues throughout our life and is not only the orchestra leader in the myriad of physiological functions that keep us vital; it is a participant as well. Unfortunately, there are numerous opportunities for our body to suffer energetic blockages that frustrate the harmonious functions of vital energy. It is particularly prevalent as we age. The leitmotiv of all energy medicines is to restore a free flow of vital energy to the body. The different energetic modalities are characterized by the ways they go about it. Because of the way vital energy connects all the parts of the body it follows that the skin, recognized as the largest organ of the human body, connected to all its inner parts, act as a medium of silent but visible information. Trained estheticians and other skincare or spa therapists can learn ways to read the condition of the skin as well as of body shapes to gain some basic but fundamental information pointing out to possible energetic blockages. Fortunately for us, there are some ways provided by nature, including essential oils, that can be used in skincare products to gain a critical value-added to the traditional treatments, namely an improved flow of vital energy that will have beneficial effect on both how we feel and how we look. This approach is what we have pioneered for over 40 years. We call it: Energetic Skincare, a modality based on energetic concepts. 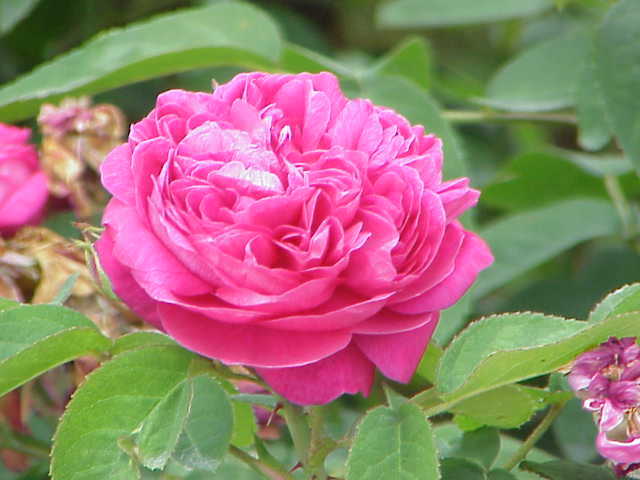 To read more on this subject including how the Damask Rose essential oil which is used in many PHYTO5® skincare products vibrates exceptionally high, go here.